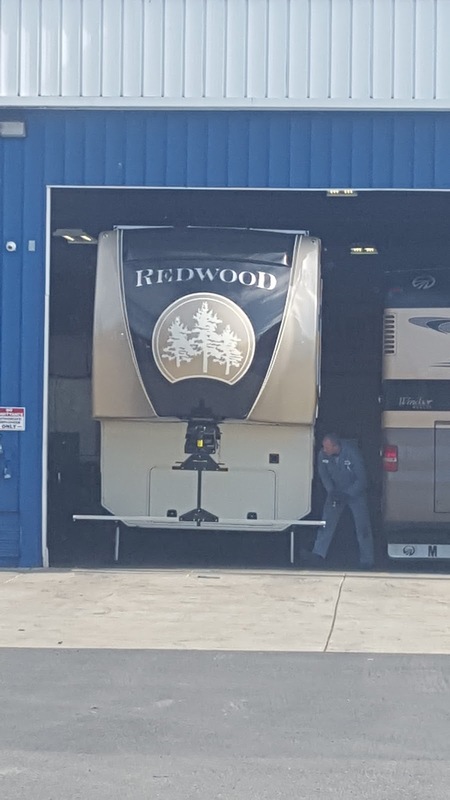 After months of anticipation, we loaded up our suspension-challenged Redwood fifth wheel to make the trip down to Grants Pass, Oregon to have our new MORryde Independent Suspension installed. 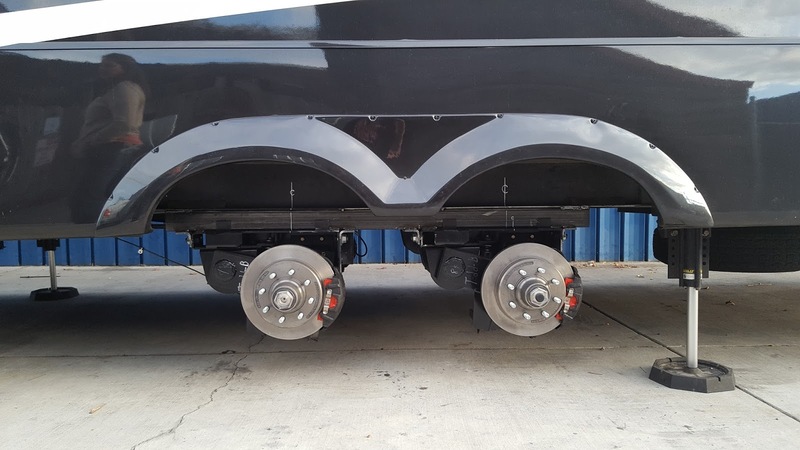 Like many large, residential fifth wheels, weight capacity was an after-thought in the design of our full time home. 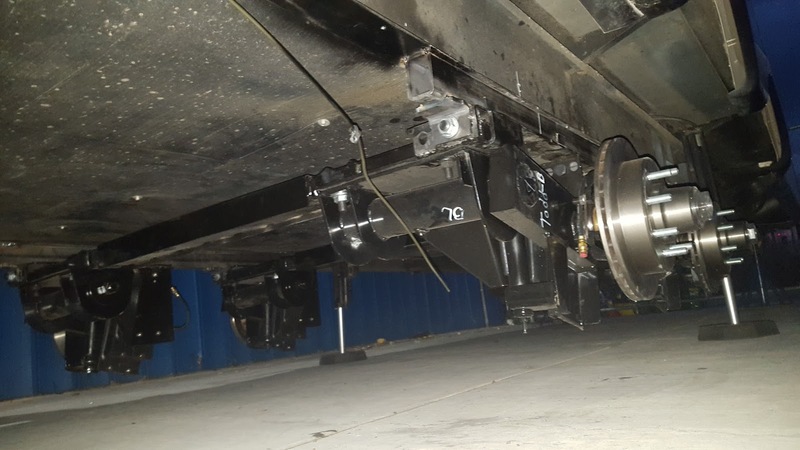 In fact, many buyers of these units take delivery from the factory and drive them straight to MORryde in Indiana to have the factory suspension completely removed, and replaced with this superior system. Yes, it's that good, and that important. Because we live in the Pacific Northwest, we understood that we would have to make a cross-country trip to have this system installed. This would have to wait a couple of years, after retirement, and it curtailed much of our travel because we were uncomfortable with our weight ratios. After calling MORryde to inquire about scheduling this work, we were delighted to learn that they did have an authorized installer only a couple of hundred miles from us! They referred us to Henderson's Line Up and we began researching their reviews. 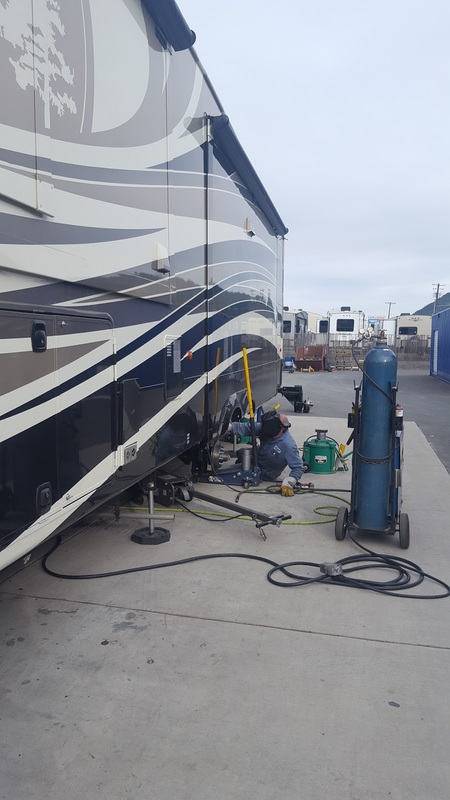 We were extremely happy to see that they had incredible reviews and a vast experience with RV's. We made an appointment and had our coach measured so that they could order the parts for our installation. In the fall, we made the trip down for the install. As we live in our coach, they assured us that we were welcome to stay in it at night, while they completed the 4 day job. We arrived on a Monday morning, and they were there waiting and ready for us. They quickly helped us get settled into the area that they would be doing the work and directed us where we could access power and water. They were extremely kind, helpful and understanding. Naturally we were a little nervous, as this is a big job, but they quickly put our minds at ease and carefully described what they would be doing. We planned day excursions, even a quick trip to the California Redwoods (only about an hour and half drive!) and arrived back in the afternoons to get a thorough briefing on progress from the technicians. After the first day, we felt completely at ease, watching the work proceed exactly as outlined. It's quite sobering to see your rig sitting on jacks with NO WHEELS OR AXLES! During the 4 day stay, they dedicated themselves to the work, and we watched several other coaches come in and get work done on various suspension and steering related work. All owners we visited with had the same opinion; pleased with the work, and very confident of the skills of the technicians. They really are exceptional. Just look at how beautiful it is!! At the end of the job we paid our invoice, which was exactly as quoted, and embarked on our first haul with our new suspension. We challenged it by driving over the coast range highway and all the way up highway 101, both are notoriously rough in areas, with a lot of bridge expansion joints and other road issues. As a little "test" we put two plastic cups on the kitchen table to see where they ended up upon arrival. Even with some vigorous bouncing, the cups were STILL on the table upon arrival! Simply amazing. Several items that had to be secured before travel, no longer need to be secured, and the confidence and piece of mind of 2,000 pounds of additional weight capacity is priceless. Then of course there was the inevitable circumstance where somebody jumps in front of you, eliminating your safe following distance... We were filled with happiness at the superior braking of the new Kodiak brakes. Just cannot express how much safer we feel hauling such a heavy rig. It's NIGHT AND DAY. We cannot over-recommend Henderson's Line Up. They were professional, skilled and trustworthy. We look forward to contacting them in the future for other upgrades we decide to do. If you need work done in the West, do not hesitate to call them, they really do care and take pride in good work. THANK YOU HENDERSON'S LINE UP! Outstanding! *We were not asked to write this review, nor were we compensated in any way, we just wanted to share a job well done.